Students are required to wear proper dress code for each class. Hair must be pulled back off the face and neck. A ballet bun is required for all ballet students! Required dance attire can be ordered through discountdance.com using our code TP53909. 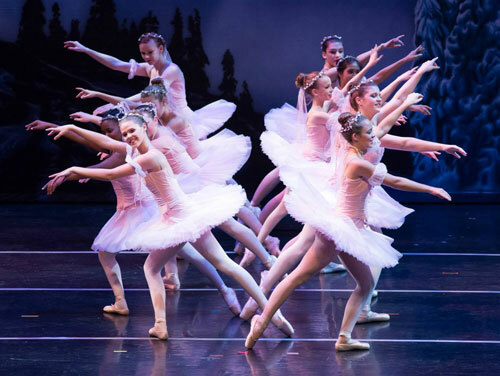 All ballet students are required to wear full footed pink tights and pink ballet shoes. • Tuition is based on a 36-week period of classes and is due on the 1st of each month from September-June. - Semester II is typically February through June. • There is a $25 registration fee for a single student and a $40 family registration fee each year. • Students are registered for the whole school year once they are enrolled. • Private lessons are available by appointment.